UPDATE: As of 4:45 p.m., the roadway is open, according to the Ocean County Sheriff’s Department. 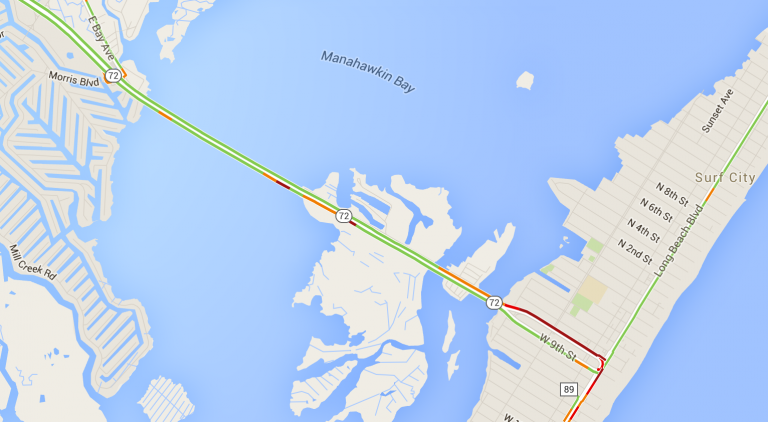 The Route 72 LBI Causeway is closed mid-afternoon due to a motor vehicle crash. According to the Long Beach Township Police Department, both eastbound and westbound lanes are closed as of 3:30 p.m. The causeway connects the mainland with Long Beach Island. JSHN contributor Patti Migliazza Rokosz said the accident directly behind her vehicle. Police say to avoid the area and expect delays. Traffic is heavy in the area, according to Google Maps.